Husky Liners all weather floor mats provide affordable year-round protection. These floor mats are available in an array of different colors including black, grey, and tan. 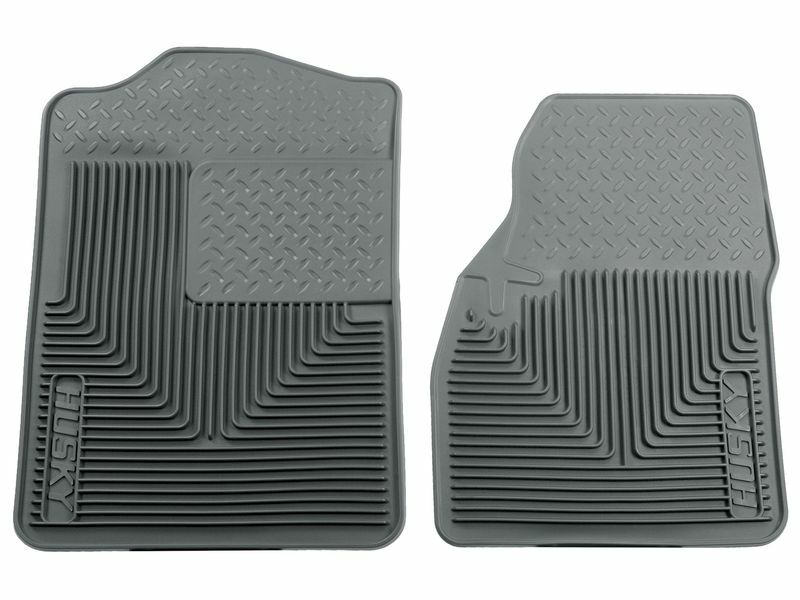 Husky Liners car and truck floor mats feature 3/8" high ridges, ensuring no unnecessary spills onto your vehicle's carpet. The featured extra thick heal pad allows for many years of wear and tear. For additional protection all Husky Liners floor mats are specially designed to be durable, ensuring no cracking or breaking. The ingenious design of these floor liners makes them easy to remove and clean. Plus the Sta-Put Nibs on the back prevent the auto floor mats from slipping or sliding. Husky Liners heavy duty floor mats are made in the USA by Winfield Consumer Products, Inc. The semi-custom fit design is available for most cars, trucks, and SUVs. If you are looking to accessorize your ride with a top of the line floor mat that protects your interior and ultimately sustains the value of your ride, then look no further. The Husky Liners heavy duty floor mats offer that and more. 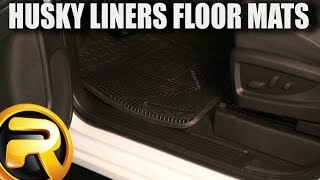 Husky Liners All Weather floor mats are semi-custom fit. This means you may have to do some trimming to get the best fit in your car, truck, SUV, or van. Husky Liners is offering a lifetime warranty on Husky Liners all weather floor mats. 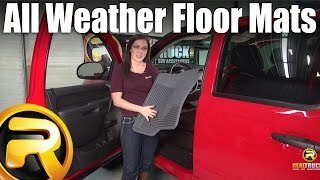 The Husky all weather floor mats offer an easy installation. Depending on your vehicle, some trimming may be needed to get you the best fit. For additional information or if you have any questions, please call us at 1-877-216-5446.